You want to take your photography business to the next level but there’s not enough hours in the day to get it all done? Get in your DeLorean, complete with working flux capacitor, hit 88 and burn rubber to earlier in the day. Support and encourage a student while you get help with your business. [/ordered_list] Who knows maybe you could even become a mentor to them! 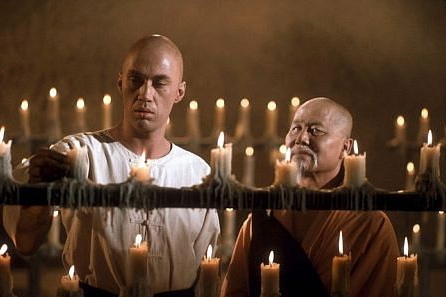 PLEASE NOTE: The rules to the mentor/mentee relationship dictate that at some point the student may become the master and you may in fact die by their hand! Find a student that you jive with. Maybe they remind you of a younger you, perhaps they’re your exact opposite. I’m not going to get into the art of picking a student worker here but I will suggest you go with your gut(duh). How many hours do you need/ can afford help? How flexible are you in scheduling? Do you have a physical studio/place for a student to work? How much are you willing to pay for a student employee? Who will do the orientation, training, and supervising? Can you provide “hands-on” experience with equipment or processes used in the photography industry? Are you providing value to the student? Please remember you are not getting “free labor”, it will do nothing for either of you to have your student not doing anything.